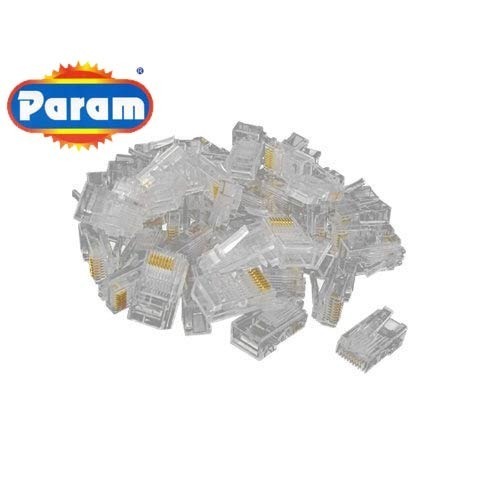 We are among the reputed organizations, highly engaged in offering an optimum quality range of Modular Connector. The provided connector is broadly recognized by our precious clients for their impeccable finish and temperature resistance. This connector specifically manufactured by our extremely knowledgeable vendors using the best grade basic material and contemporary technology. Additionally, this switch is made available in the market at most economical prices for our valuable patrons. Established in the year 2010, at Ahmedabad (Gujarat, India), we “Omkar Enterprise” are recognized as an authorized Trader, Distributor and Supplier of an excellent quality range of Electric Wires and Cables, Modular Switch And Accessories, Fan Regulator, Electric Switch, etc. These products are procured from most trusted vendors of the market in adherence with laid industry standards. In order to design and assemble these products, our vendors use premium quality basic components and modern technology. The offered products are widely demanded in the market for features like high strength, easy installation, less maintenance, longer service life and durability. We offer these products in numerous specifications at the most affordable price in accordance with the requirements of clients. We are trader of brands like Param, Guts, etc.